Every now and then you may lose track of time while you are out gallivanting through the woods or trails with your UTV. In those instances, you may have a tough time navigating in the dark moonlight. After all, those stock headlight beams are not as bright as one would wish. At Side By Side Stuff we offer a variety of aftermarket accessories for scenarios such as this. Check out the Dragonfire Extreme 32 Inch Dual Row LED Light Bar, the perfect addition to your machine. This dual purpose LED light bar serves as a spot or flood light, which will supply you with just the right amount of light. There is an 18-month manufacturer�s warranty included with this item. 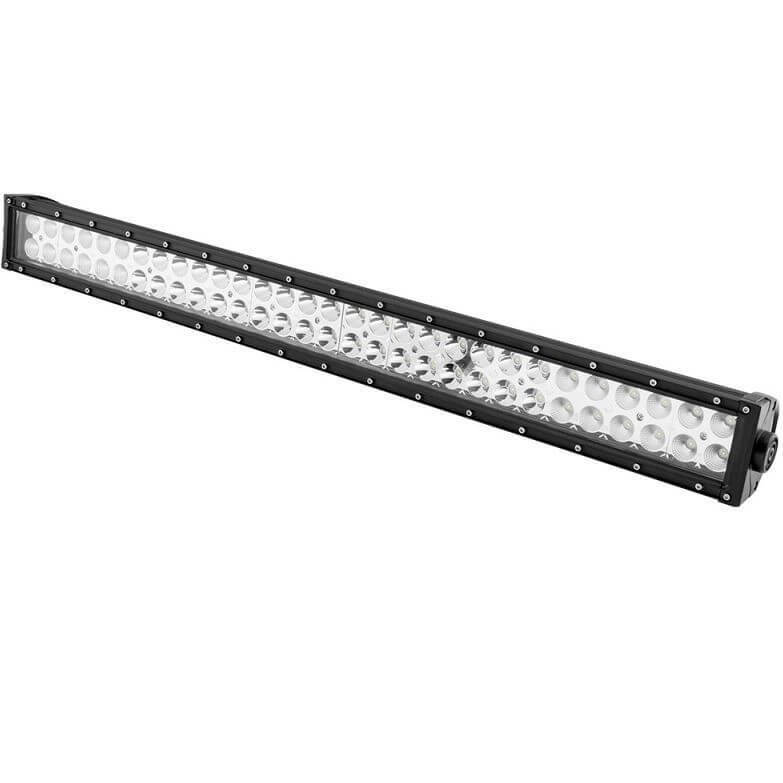 Whether you like traveling around the dirt roads or muddy bottoms this aftermarket dual row light bar will be a great option with its IP67 rating, offering dust and water resistance. Universal side mounting brackets are included giving you the option to mount on a variety of different side by sides. If you need a wiring harness for your new light bar, look no further. 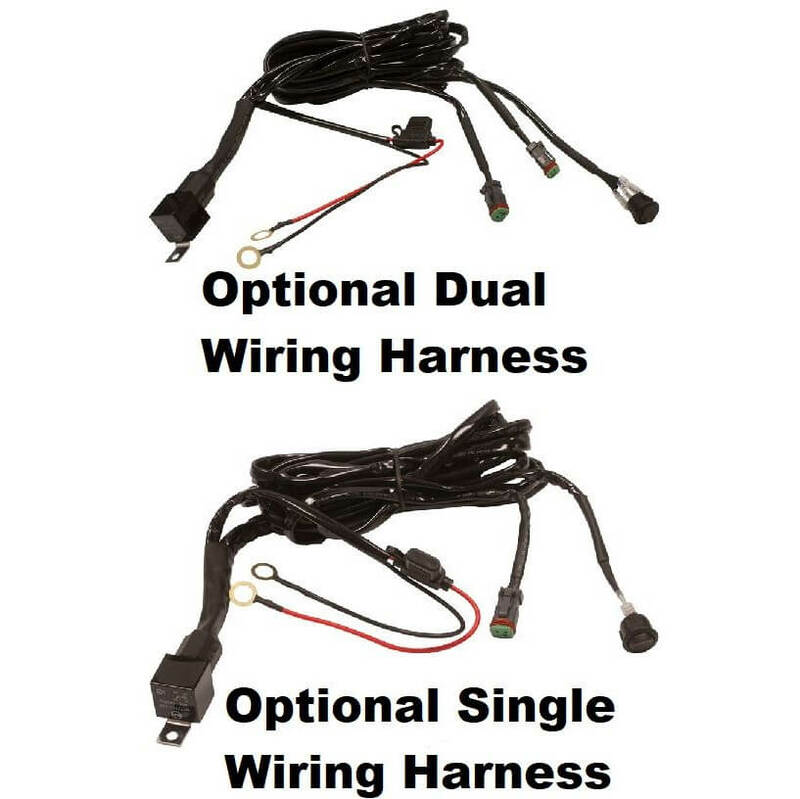 You can get a single or dual wiring harness, depending on how many lights you plan on setting up. These harnesses include an ON/OFF switch and is 118.5" in length.